Any red-blooded Transformers fan should be intrigued by R12 Cynicus. 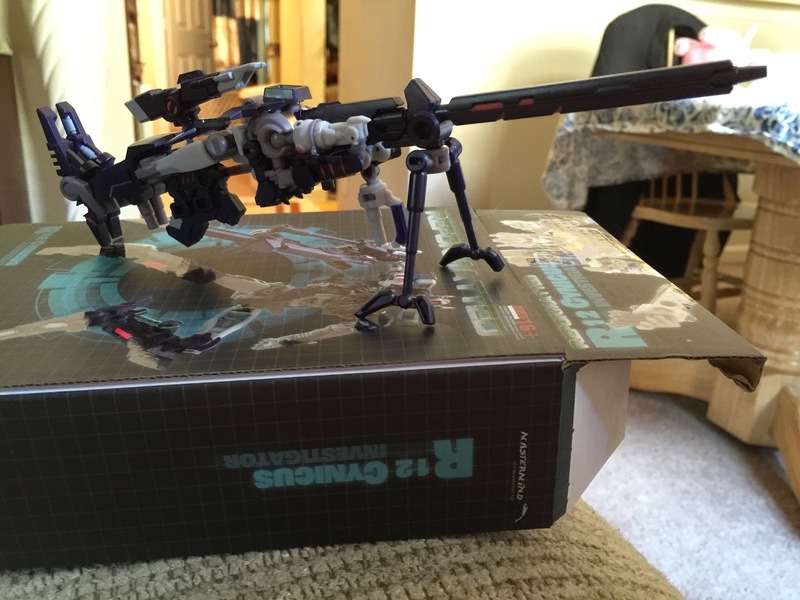 He’s crazy posable, has a deliciously despicable Decepticon head, and he turns into a giant sniper rifle. I imagine that many such fans turned to their fellows in the collecting community to ask, just who is this guy? 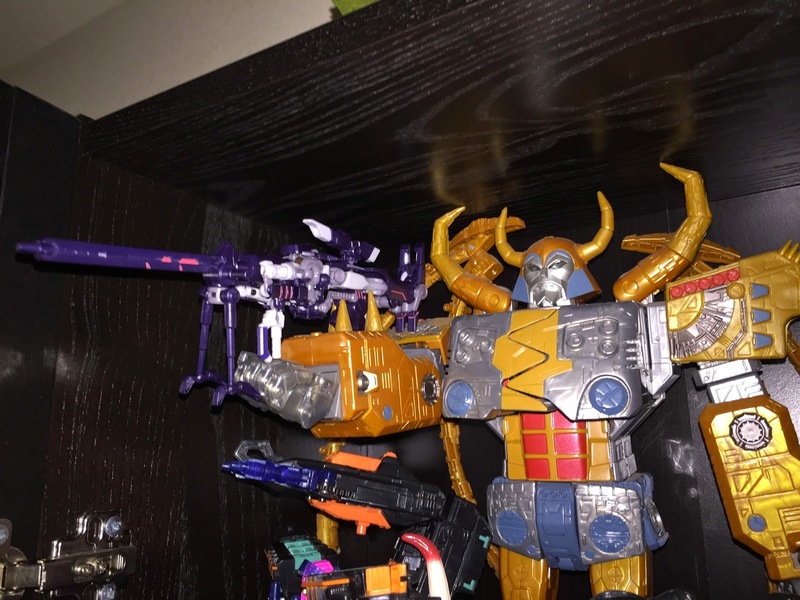 Unfortunately, a veteran collector’s response to such a query would be a veritable alphabet soup, filled with lingo abbreviations like “the 3P MMC’s figure of the DJD.” Some help to an old-school or casual fan we are. To understand R12 Cynicus, you have to understand something about two recent phenomena in the Transformers fandom. 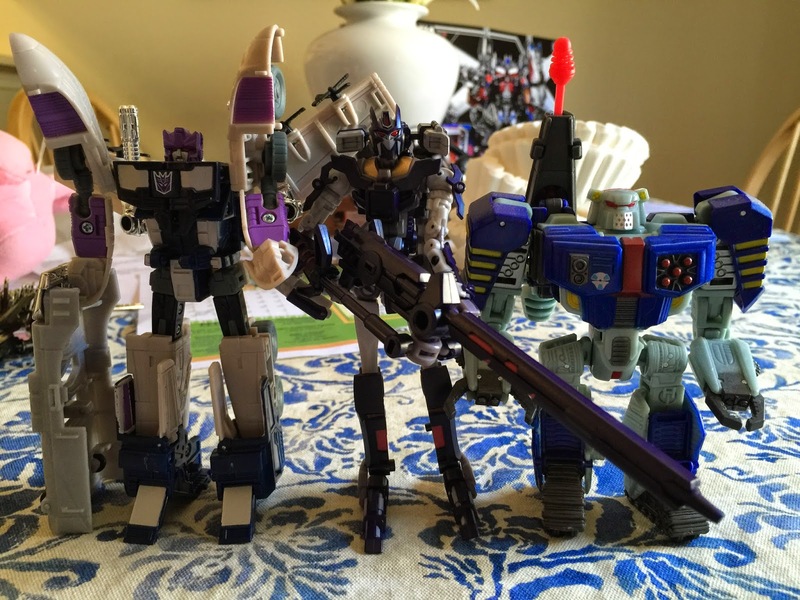 The first is the rise of the “third party,” in other words, non-official, Transformers. 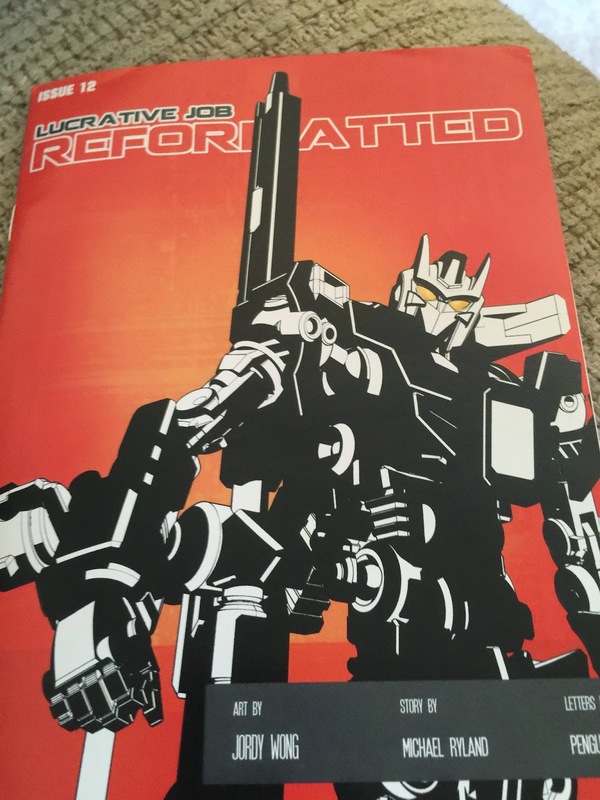 The second is the officially-licensed IDW Transformers comic universe. Without the popularity of the comic and the rise of practically made-to-order unofficial robot toys, there is no Cynicus. Mastermind Creations, the company that manufactures Cynicus, is just one of dozens of boutique transforming-robot manufacturers that have emerged from Asia this decade. 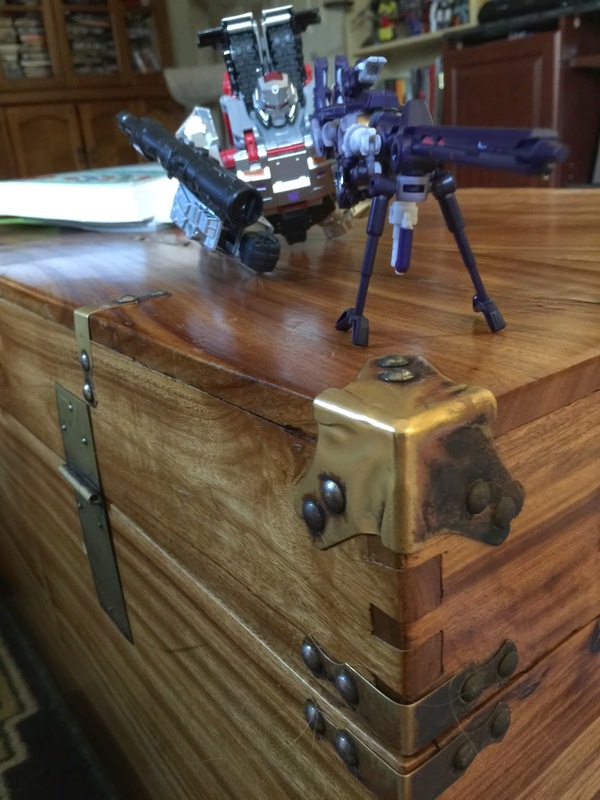 The Transformers collecting community, uniquely, has proven able to support high-end unofficial manufacturing. Transformers are unlike most action figures in that each design is unique and may employ dozens of interlocking plastic-molded parts. 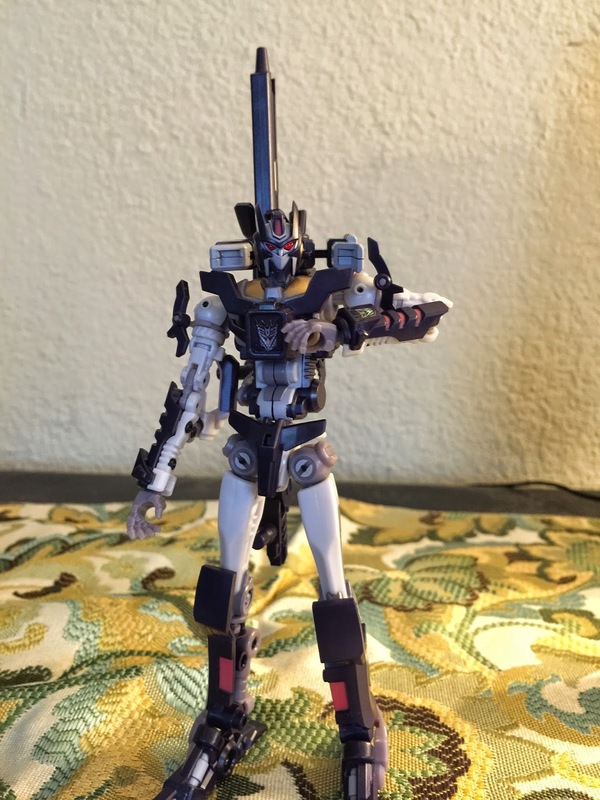 While custom Transformers are certainly popular, entirely newly designed Transformers characters tend to appear in fiction much faster than Hasbro could ever design and release a toy to represent them. Mastermind Creations (MMC) has taken particular advantage of this ability for small manufacturers to quickly satisfy fans. They specialize in characters who have recently appeared in the pages of IDW’s Transformers comics. They first came on the scene with a series of “steampunk” Transformers based directly on designs done for the “Hearts of Steel” miniseries. Not only were the figures spot-on, but their accompanying comic-format instruction manuals could easily be read as IDW fan fiction. After their steampunk line, they switched to making figures of prominent characters from the main line of IDW comics that nevertheless had no official representation. 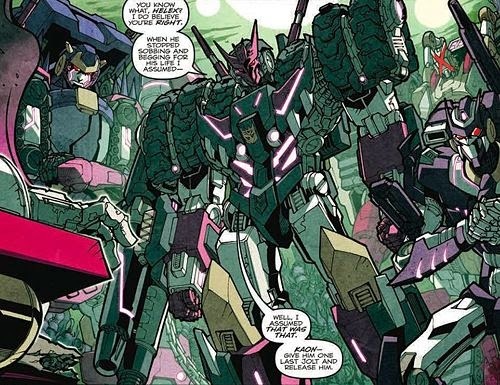 This line includes designs based on Sixshot, Arcee, a slight detour into a set of combining Predacons, and now Cynicus. But unlike the previous figures in the MMC stable, Cynicus is not based on a transforming toy from the 1980s. He is wholly original to IDW’s Transformers fiction. Cynicus is unmistakably a three-dimensional version of “Vos,” a character created by writer James Roberts and designed by Alex Milne in 2012. 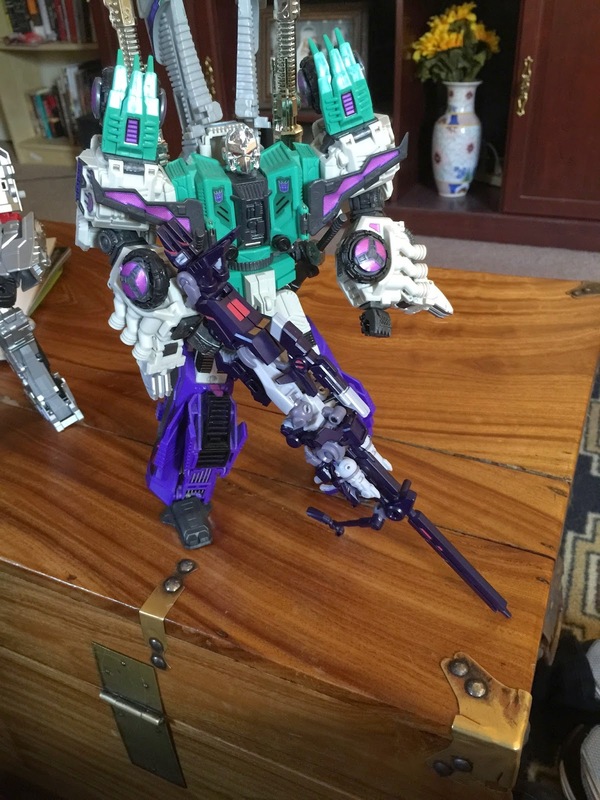 Vos is a member of the “Decepticon Justice Division,” or “DJD.” This is a group of five terribly powerful Decepticons who concentrate on torturing and slaughtering other Decepticons who they deem traitorous or unworthy. The members of the DJD use code names taken from the first Cybertronian cities to fall to the Decepticons during the war. This “Vos” is at least the second Transformer to bear that codename. His real name and history are not known. Therefore, the typical third-party practice of giving their toys based on Transformers characters a euphemistic name is doubly appropriate in the case of this character. We may never find out his true name, therefore “Cynicus” seems as good a name as any right now. 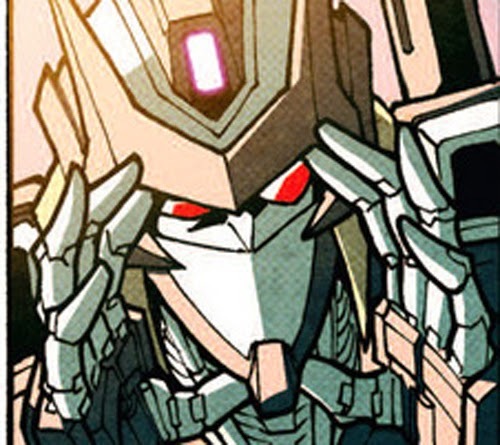 He’s also the most mysterious and memorable member of the DJD, making him a wise choice to start off the group. He’s the newest member of the team, yet he’s seemingly a very old ‘bot, so old that he does not speak the modern Cybertronian language. In addition, there is a flashback panel that seems to show Megatron using him in gun mode to assassinate a Prime, back in the very earliest days of the Decepticon movement. Finally, his haunting method of torture involves removing his own face and attaching it to an enemy’s, letting it drill through and mutilate his victim’s face. This is faithfully depicted with an alternate head and detached-face accessory on the Cynicus toy. The “mature audiences only” nature of the DJD is one reason why they are an excellent choice for a “third party” to tackle—Vos is not a good candidate for a children’s toy on the shelves of Walmart, so MMC will not be undercut by an official Hasbro effort. So with all the background out of the way, is Cynicus a good toy, and a good collector's item? 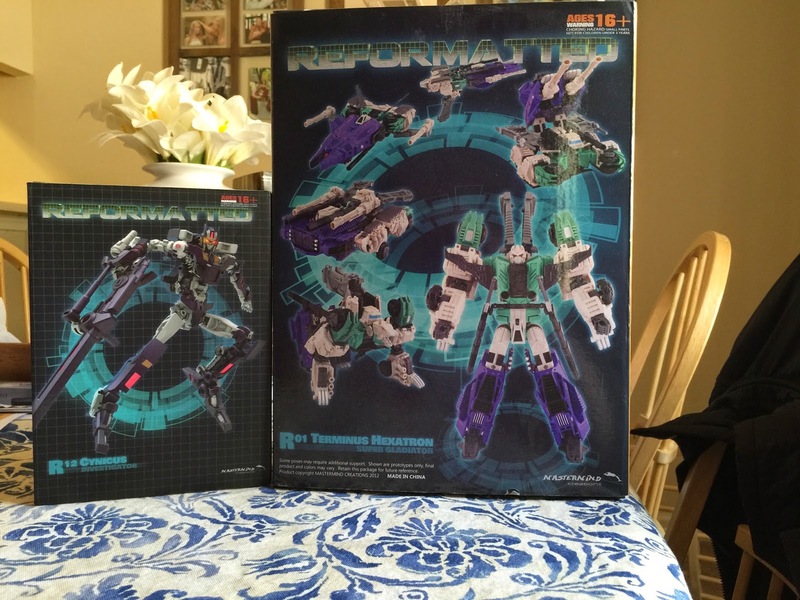 This was only my second MasterMind Creations product, after their uncommonly excellent Hexatron. I'm happy to report that Cynicus is of the same caliber (pun intended). The box--a tiny adorable version of Hexatron's--contains the main figure, his two-part gun, his alternate "faceless" head, his holdable face, and a special attachment to the gun mode for the MMC combiner "Feral Rex" to hold it. I set aside this last part, since I don't have Rex. I also wasn't that impressed by the alternate head and face accessory--I really like that they are included, but I love the normal head on this guy so much that I hesitate to pop it off! He's about normal Deluxe size, despite his spindly-ness...here he is between his fellow IDW-themed figures "Tall Tankor" and "Fat Tankor." The sculpt oozes personality. Many details are faithfully replicated. His usual somewhat quizzical expression is reflected by a slightly-larger left eye. The double-handle on his right arm and sensor/laser things above his shoulders are right, too. His large gun stores in a way that looks just like his comic-accurate kibble, and you can disassemble it to give him a pistol. As is customary for "third party" toys, there are no Autobot or Decepticon tampographs but there is a large space for a faction symbol label to be placed. Fortunately I had some "Energon glow" labels from Reprolabels handy. The effect is very striking on this character. Due to the small size and intricate nature of the character, I had some concerns about transformation. Fortunately I can report that transformation is not unnecessarily complex nor does it have to take a long while. The instructions were helpful, though they were not initially clear on what must be done with his backpack (in an early step you must pop it off, with a fair amount of force, leaving it attached to the main body by only a small arm that connects to the torso). The small pieces on the shoulders look delicate but they are only cosmetic, you can move them freely and they don't have to snap anywhere. I did spot a stress mark in part of the backpack assembly...make sure everything is rotated in the correct orientation before attempting to snap it back in place for robot mode! 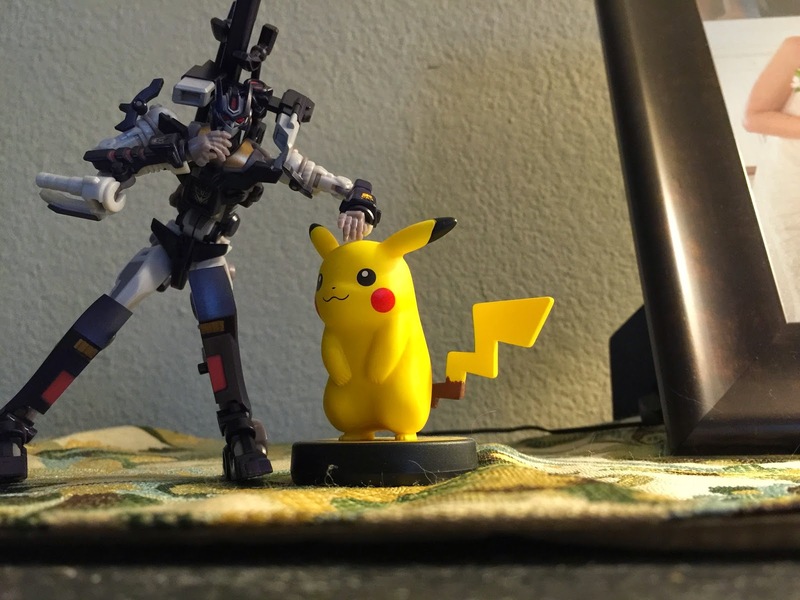 My problem with it is how few figures it can properly interact with. It has 5 mm handles for theoretically universal compatibility with other Transformers figures. However, for almost any figure to hold him at all, Cynicus' feet/stock must be folded up. 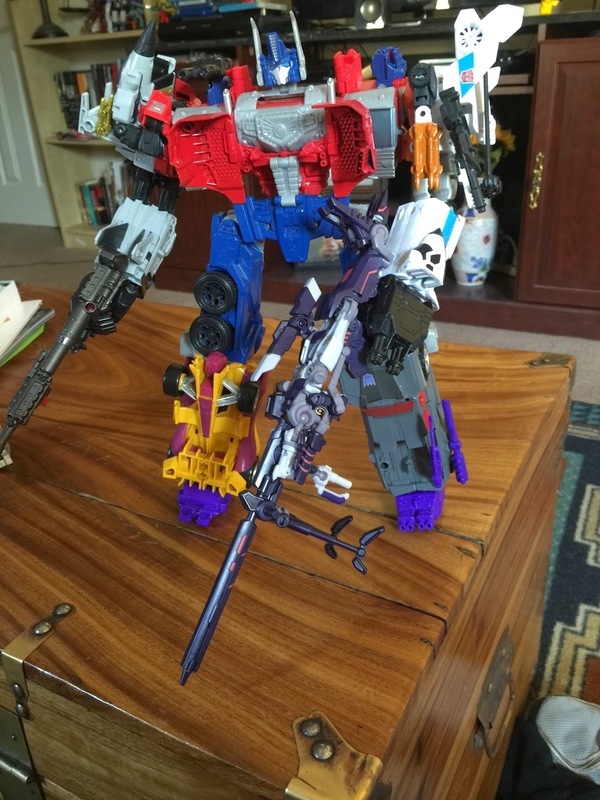 He's also too heavy for most figures to hold up with one arm, including "Combiner Wars" combiners. 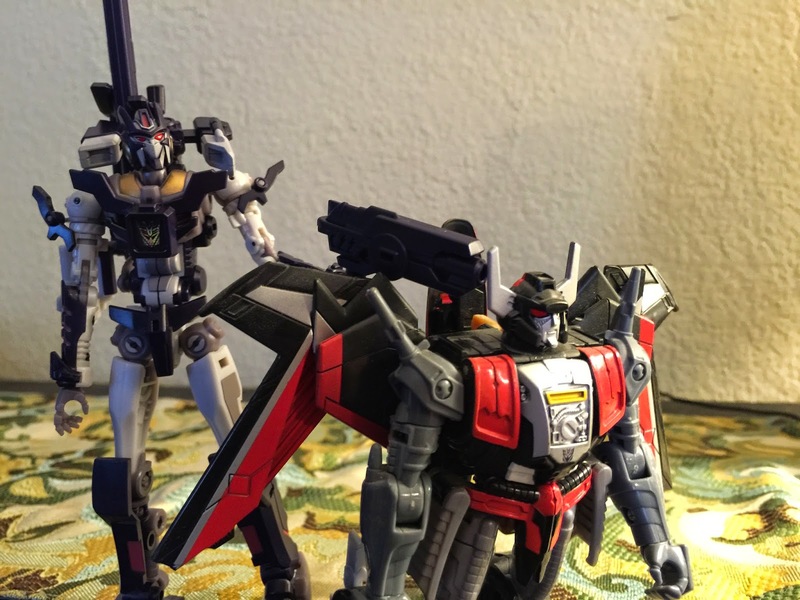 Final thoughts: Cynicus, the Decepticon Justice Division's "Vos," is the epitome of several exciting trends in Transformers fandom. If you want a stunning toy of a new and iconic character, this is for you. It looks and feels brilliant if you have any affinity for Transformers. If you're not invested in the fiction though, it is a little hard to recommend for the price. 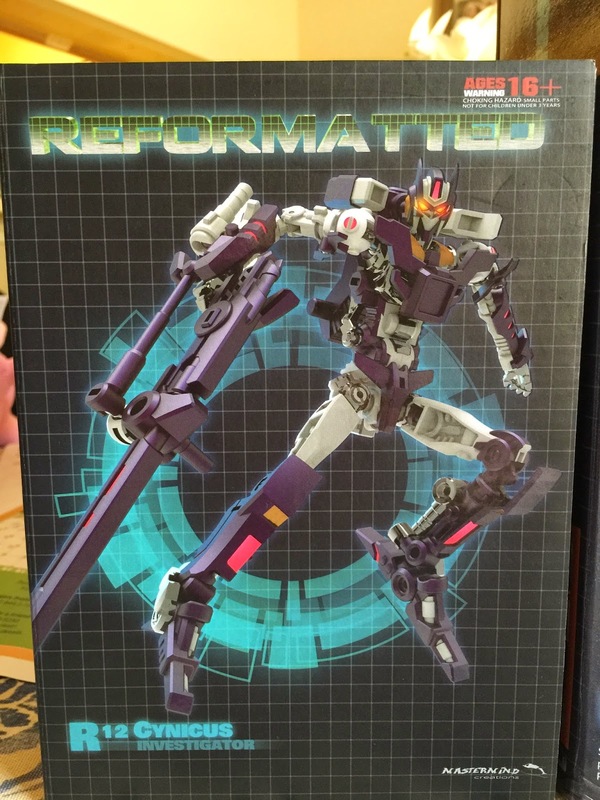 I hope that this new entry in the "Reformatted" series represents a standard price for the "DJD" themed figures and that his upcoming teammates Anarchus ("Kaon") and Kultur ("Tarn") will deliver similar price and value by dialing down the complexity as they dial up the size.